In the meantime, heat the oil in a medium skillet. 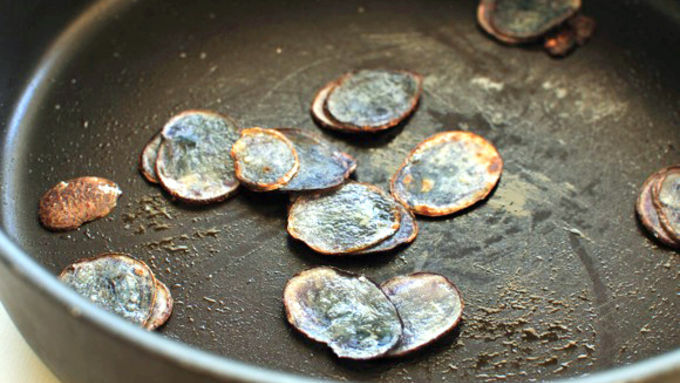 Add the sliced potatoes and sauté until they brown and become slightly crispy, 7 minutes. Add a pinch of salt. Spoon the alfredo sauce over the crust. Arrange the potatoes in the upper left hand corner of the pizza. You may overlap them, or lay them side by side. 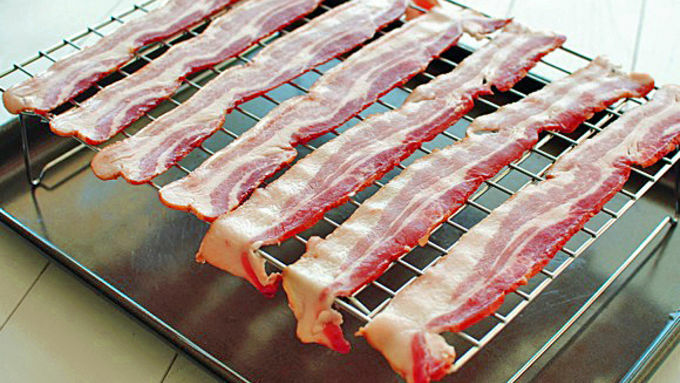 Arrange the bacon to the right and under the potatoes, creating stripes. 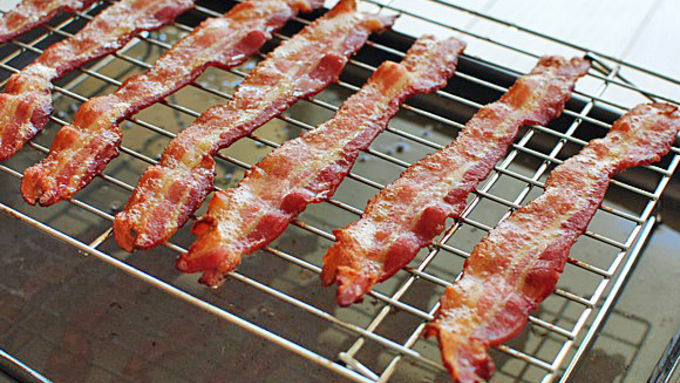 Sprinkle the cheese between the bacon stripes. If you want, you can create little cheese stars on the potatoes. Will you please forgive me? Is it taking a moment for your eyes to adjust to what's on the screen? Yes, yes. 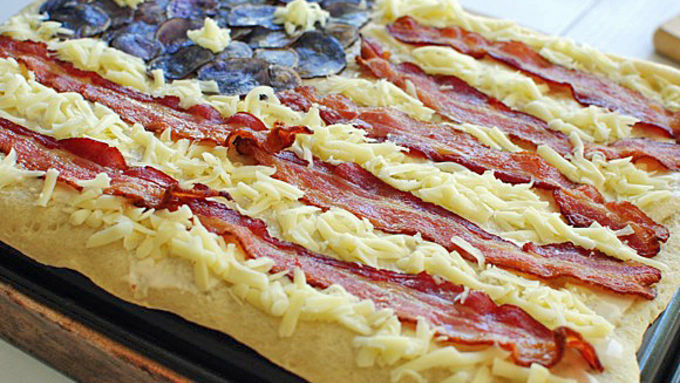 That would be a BACON FLAG PIZZA. Please don't give me a noogie. I couldn't help it! 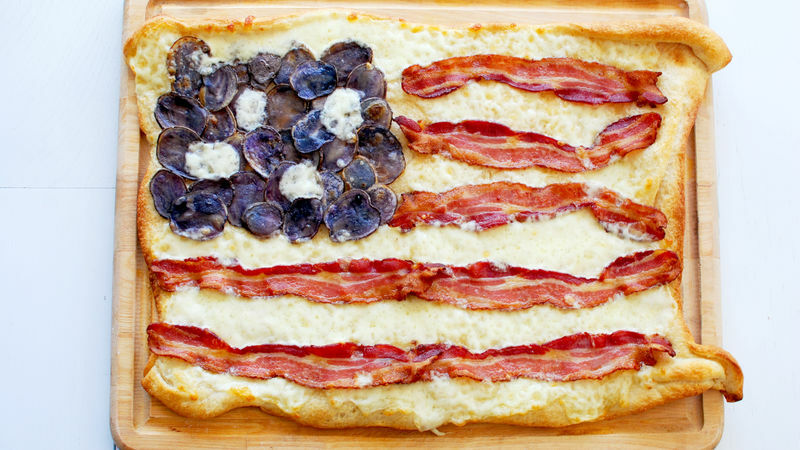 It's so festive and it's pizza and there's bacon on it and the potatoes made me giggle and it's pretty hilarious, right? You want to give me a noogie. Let's do this. FOR AMERICA. OH, SAY CAN YOU SEEEEEE, BY THE DAWN'S EARLY LIIIIGHT. Go, America! 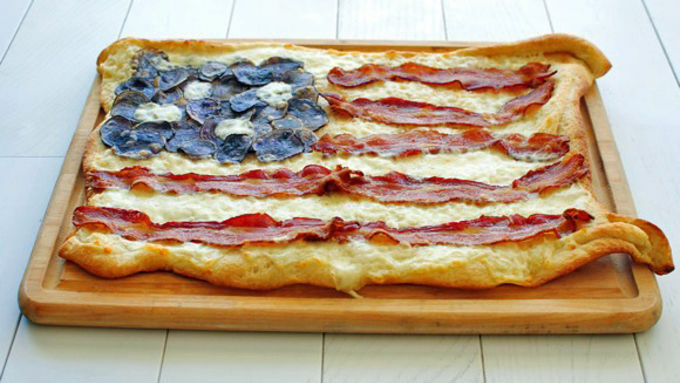 More Flag Recipes for the 4th! Why stop with a pizza? 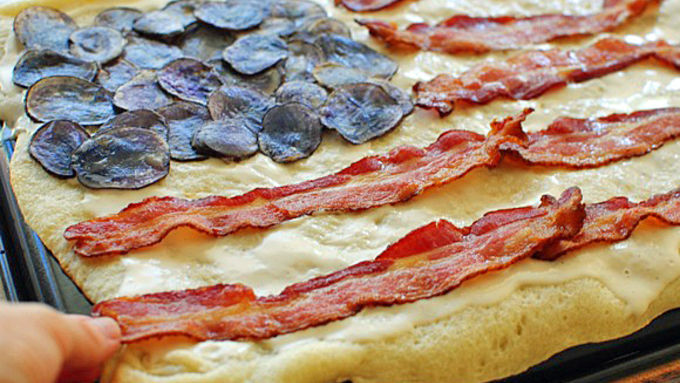 Go for an entire flag theme with these flag recipes!